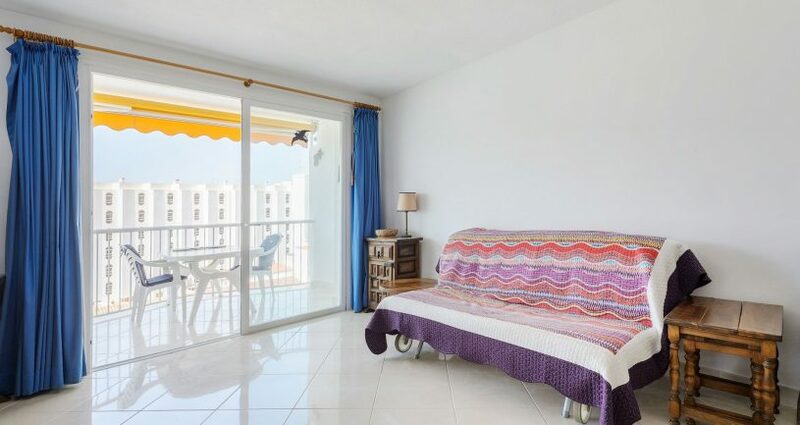 This fabulous light and airy apartment sits above the main square of the village. 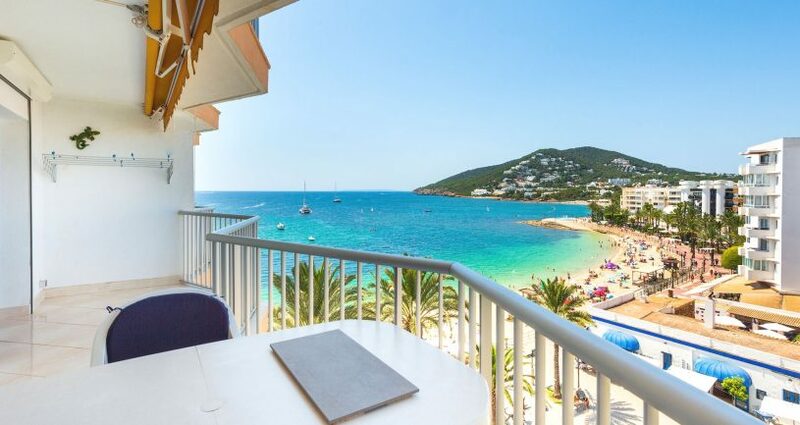 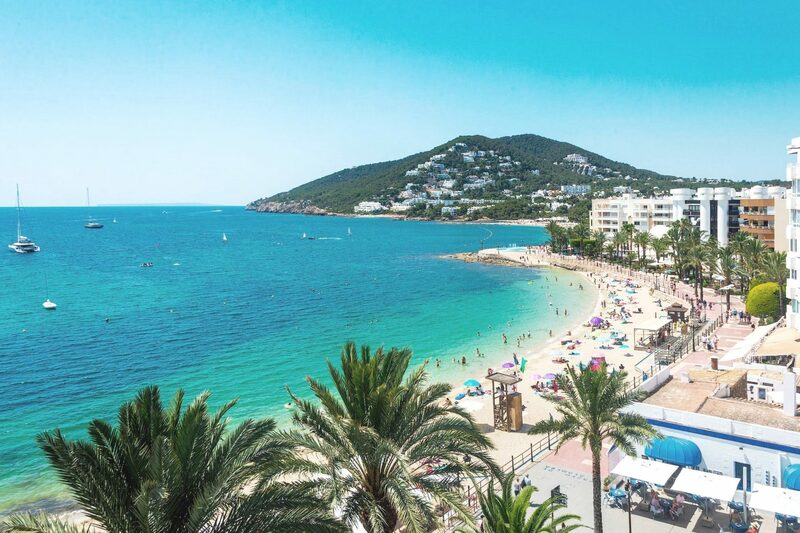 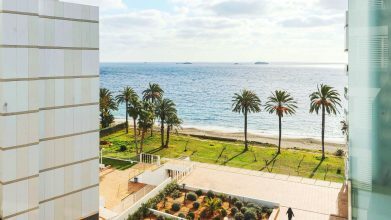 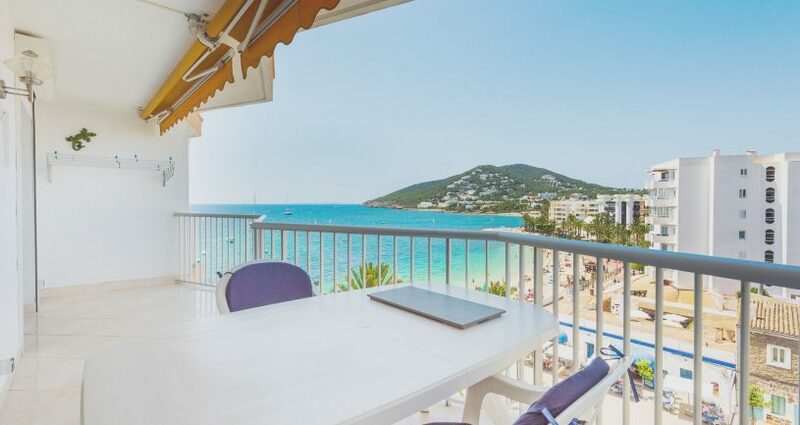 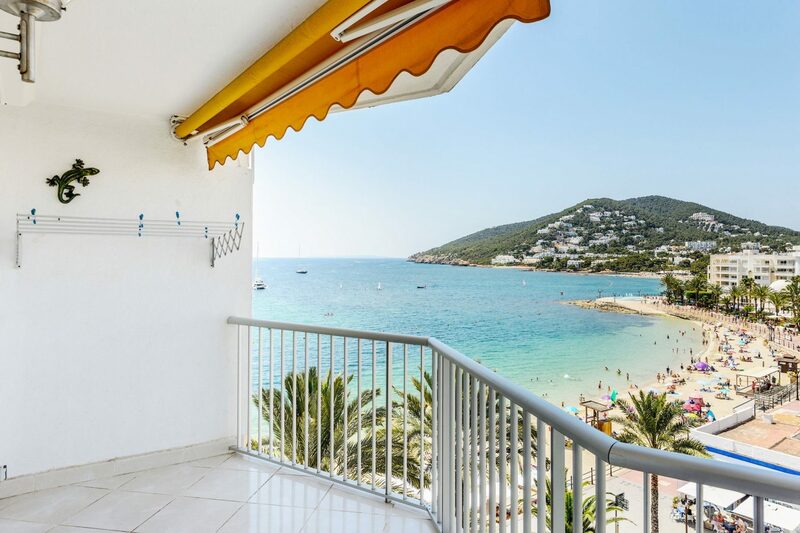 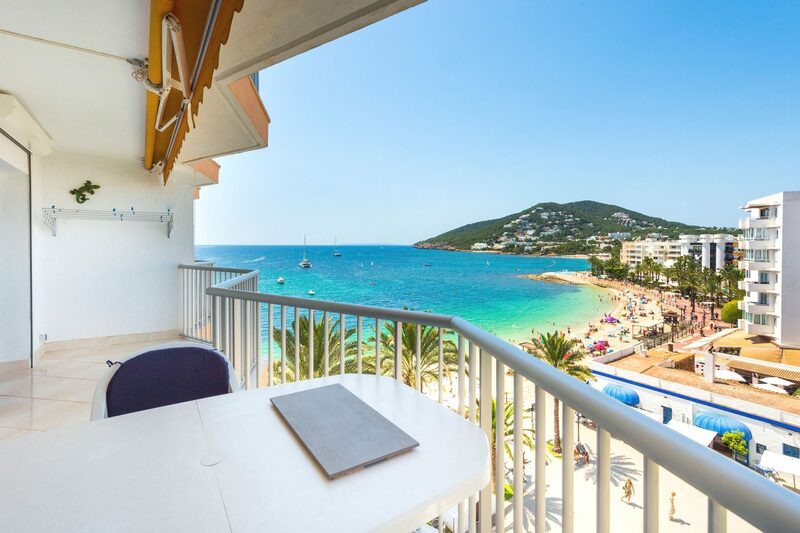 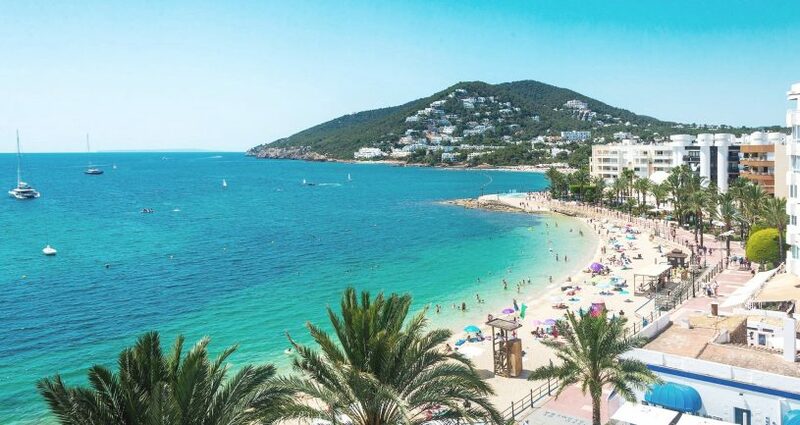 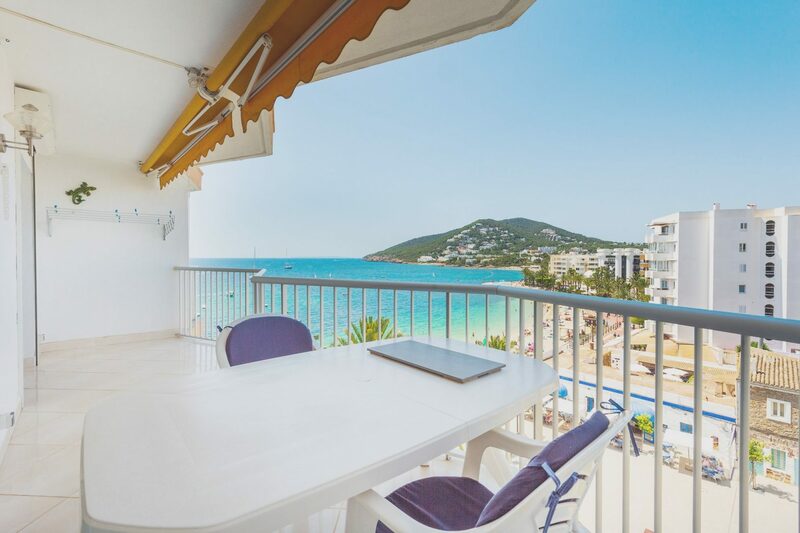 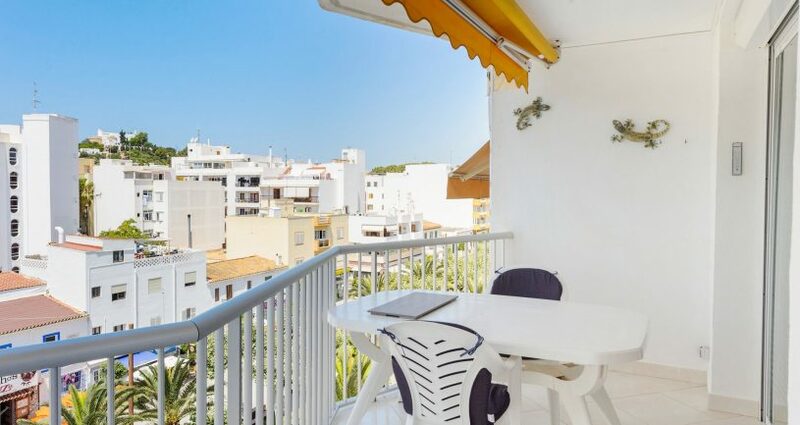 It enjoys mesmerizing ocean views that take in the panorama of all the bay of Santa Eulalia including the beach, the promenade and the mountains, ensuring there is always something happening to keep the eye entertained. 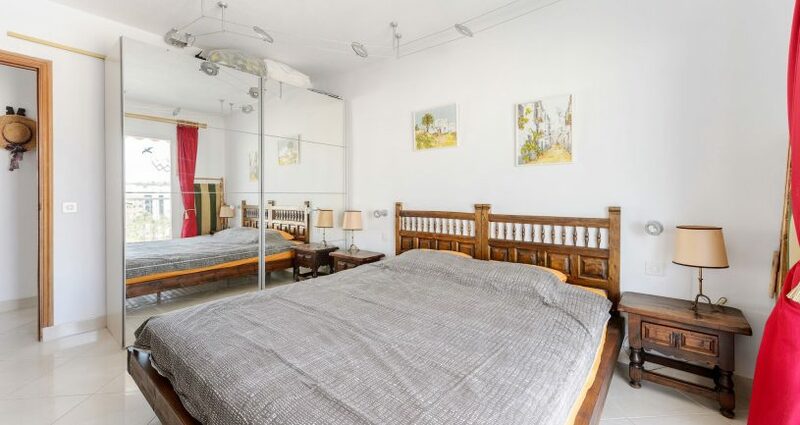 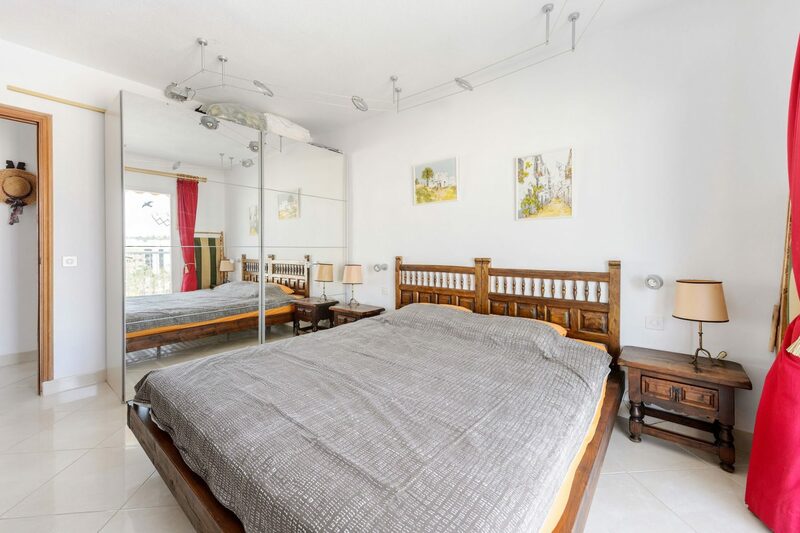 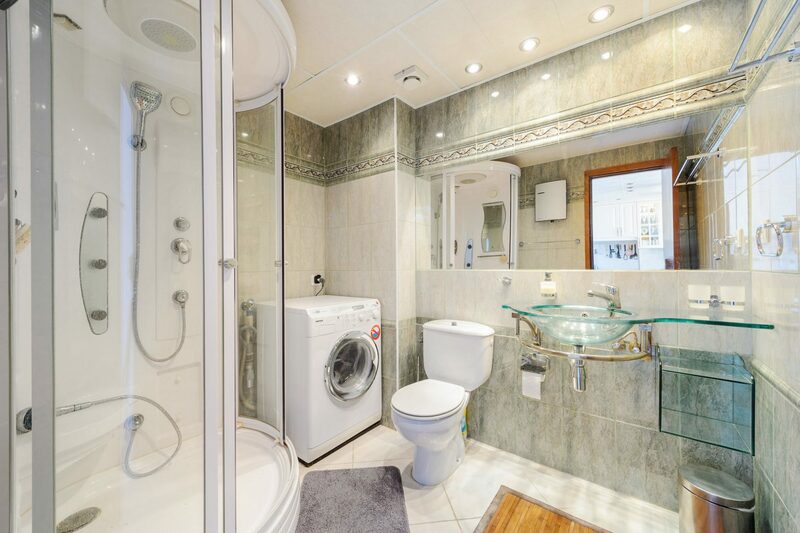 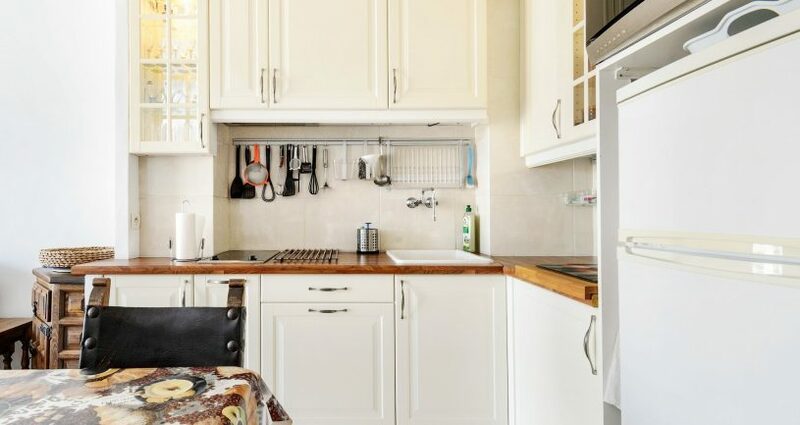 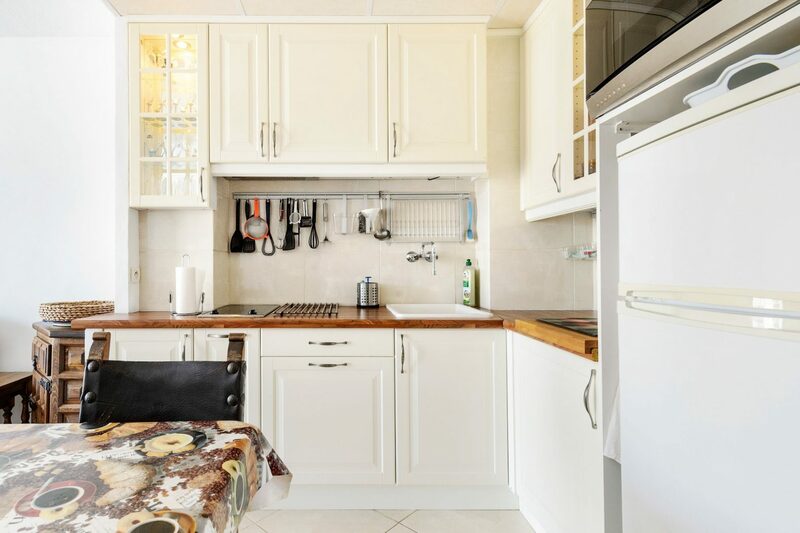 The apartment comprises of a large bedroom, a full separate bathroom with shower, bright living room with dining area and fully fitted open modern kitchen. 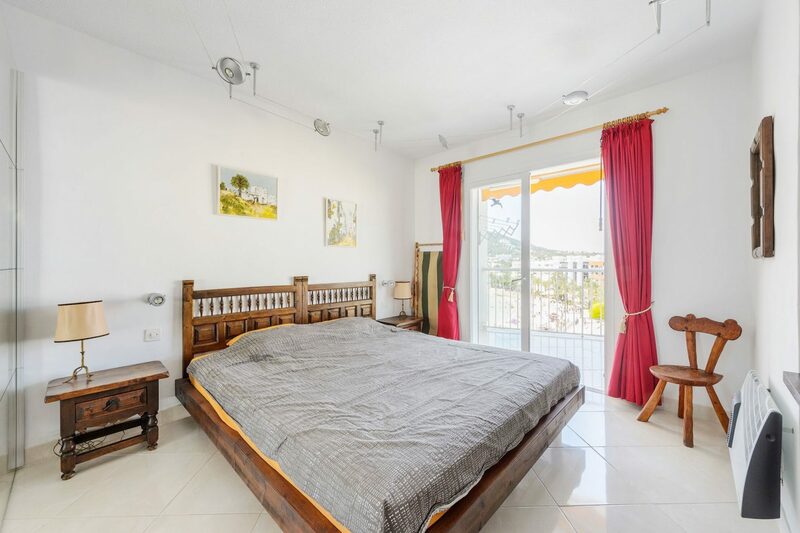 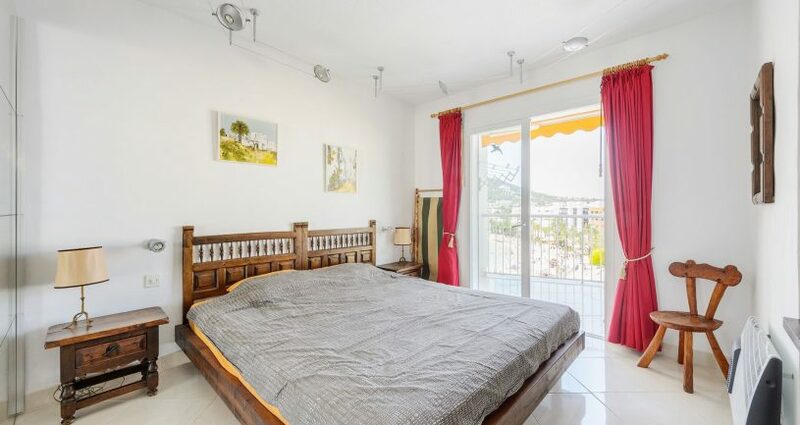 The living room and bedroom have magnificent views across the bay and cliffs of Siesta on one side and the picturesque hillside church on the other. 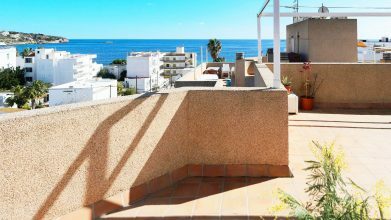 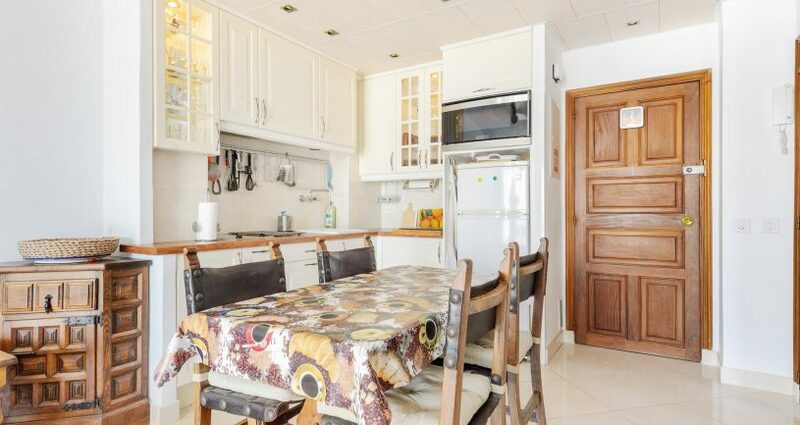 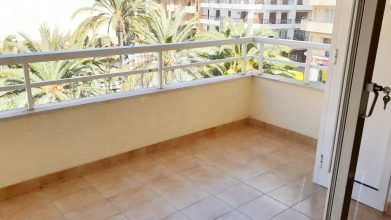 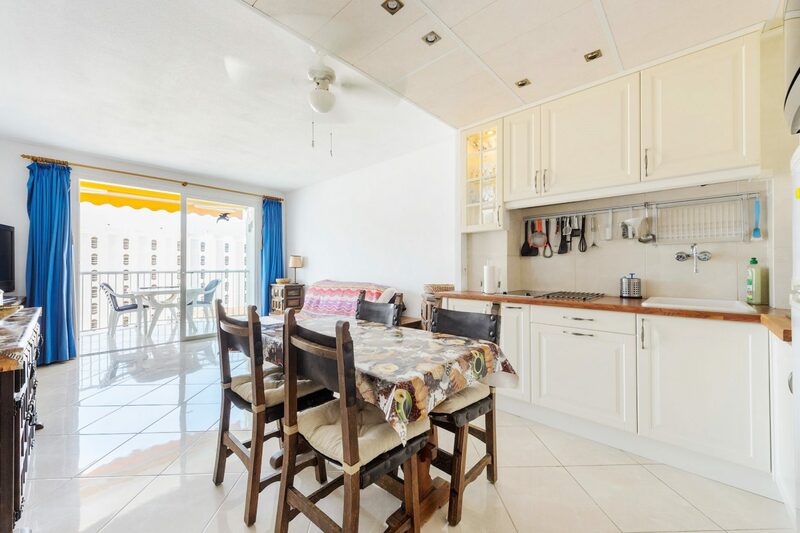 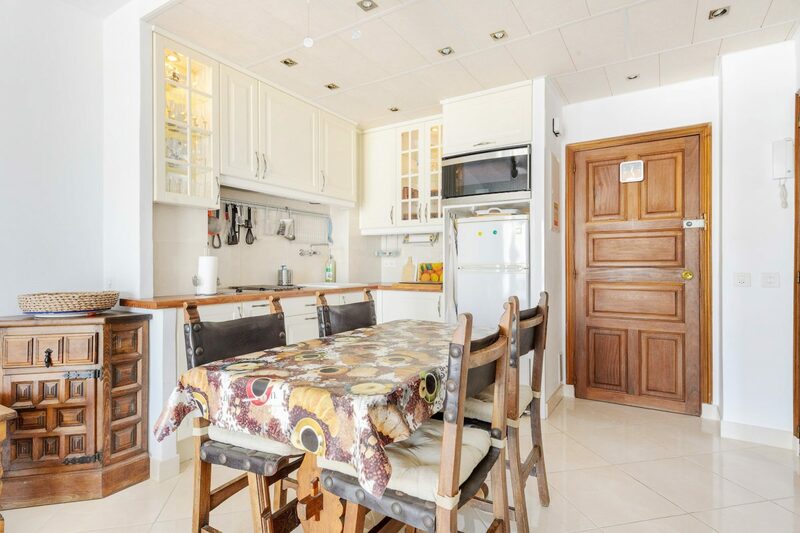 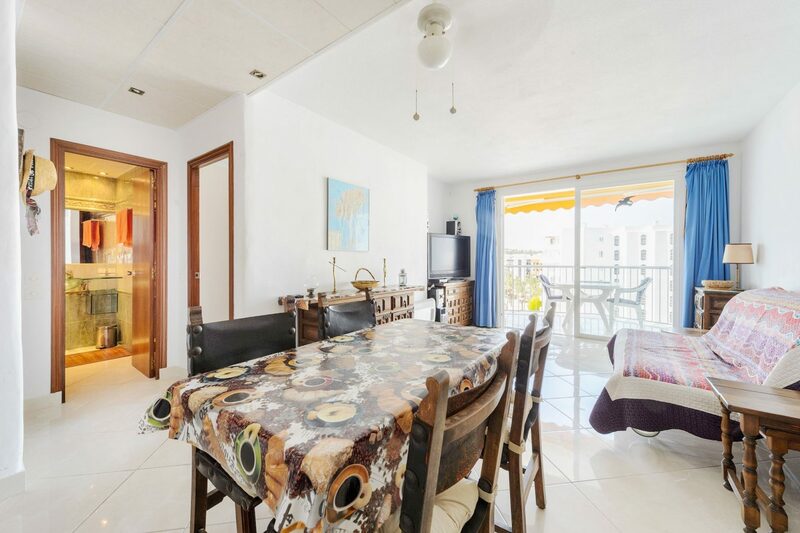 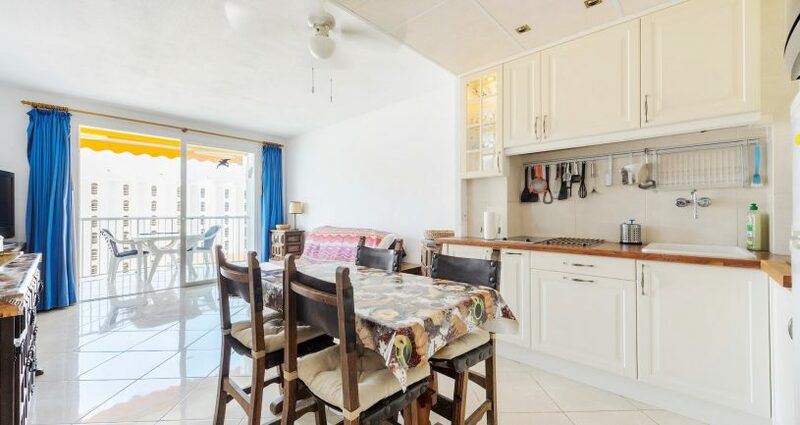 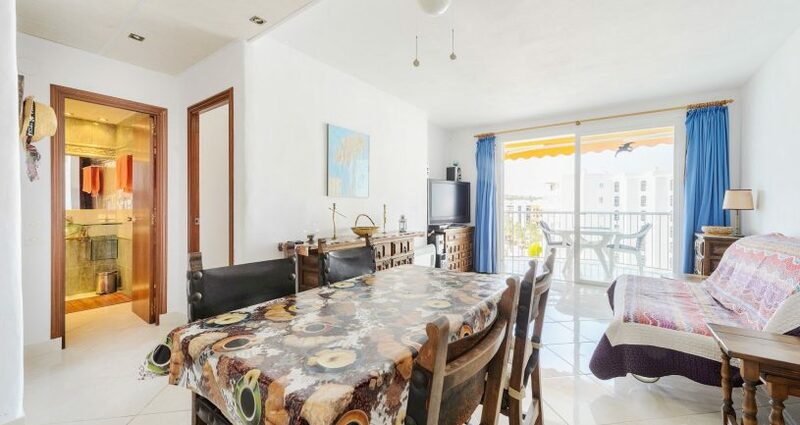 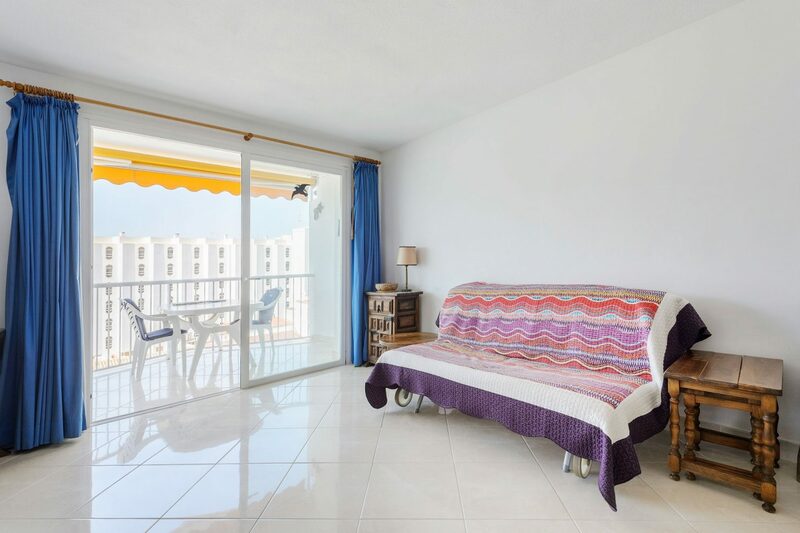 The property has a constructed area of 67 m² including 9 m² of covered terrace. 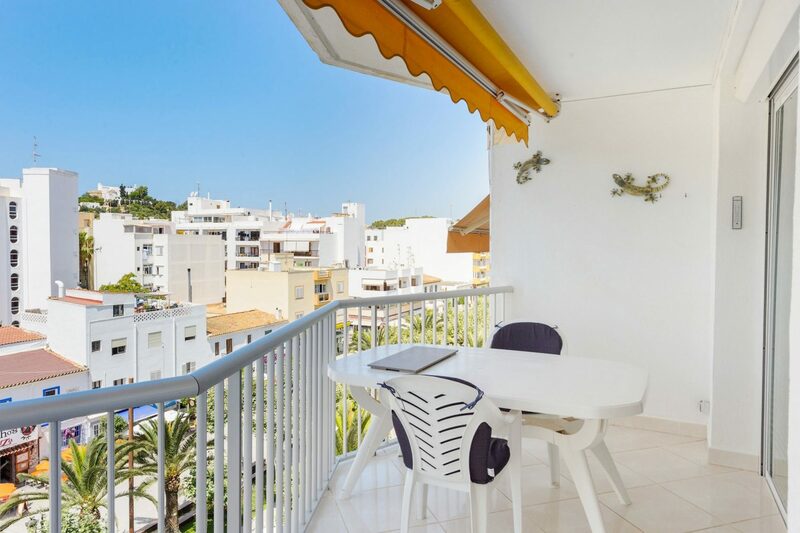 The apartment faces south giving it glorious sunshine until late in the evening. 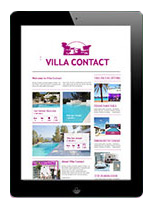 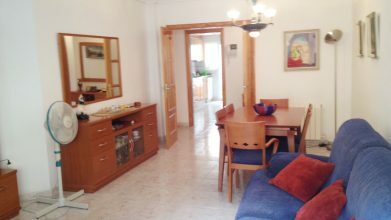 The property is being sold fully furnished and enjoys direct beach and sea access. 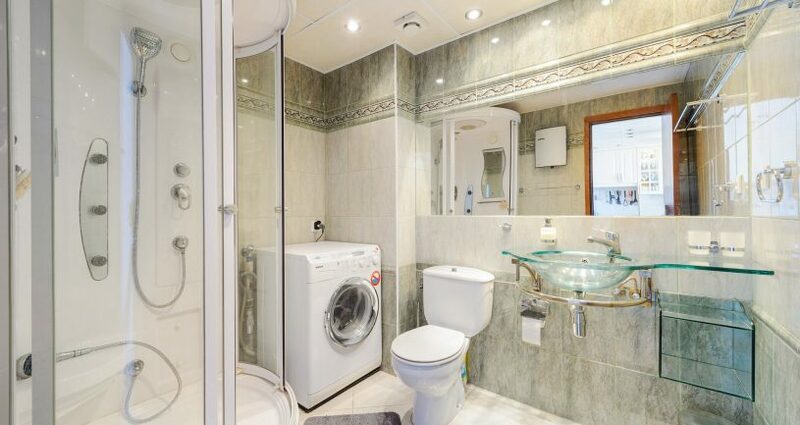 It also has wheelchair/baby buggy access from street level.